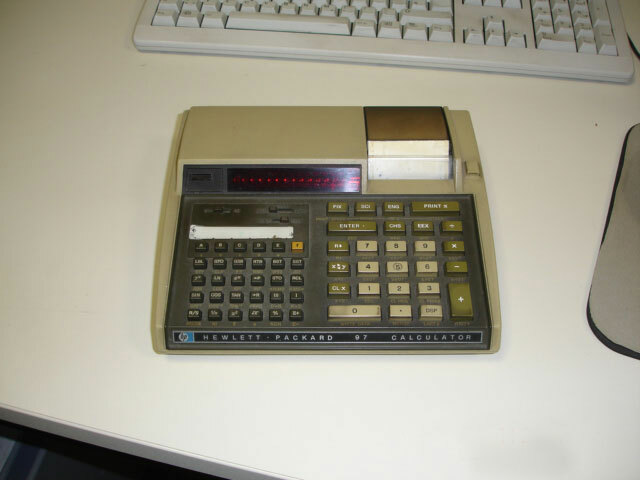 Size: 8" x 9" x ½"
The HP-67 packed so many functions on to a small keyboard that three shift keys were needed. The HP-97's larger keyboard needed just one shift. The HP-97 added the same printer introduced in the HP-91. This battery powered printer could print the display, the stack, data registers and programs. Programs were printed with step numbers, keycodes and key mnemonics. It could also be used in trace mode to debug programs.